LLOYD'S BEWARE THE BLOG: PATRICK TROUGHTON; A Classically Trained Character Actor and the Second Dr. Who. PATRICK TROUGHTON; A Classically Trained Character Actor and the Second Dr. Who. 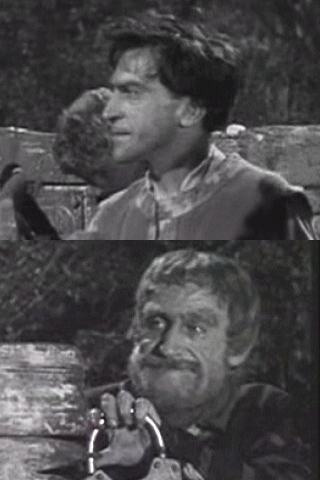 Patrick Troughton was "Horatio" in a 1947 British television version of William Shakespeare's "Hamlet", portrayed "Robin Hood" in a ITC mini-series, was one of the robots in a production of "R.U.R. ", seen on the 'Telescreen' in the 1956 movie based upon George Orwell's "1984", played "Phineas" in Ray Harryhausen's "Jason and the Argonauts", a "Bodysnatcher" in "Frankenstein and the Monster from Hell" and of course he was the Second "Dr. Who". 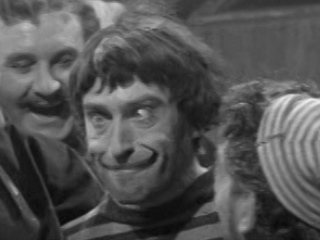 In short Patrick Troughton was a character actor for 221 different productions and some in multiple roles. Francis George Troughton was born in Mill Hill, Middlesex, England on March 25, 1920. His parents were solicitor Alec George Troughton and Dorothy Evelyn Offord. The future actor had an older brother Alec Robert Troughton known as A.R. "Robin" Troughton and a younger sister Mary Edith Troughton. Patrick's schooling began at Mill Hill School. A farcical tragedy in two acts. The scene is a rusting ship in a backwater off the south coast of England. Trees grow on the decks and bees share the structure with a token crew. Some of the people aboard want to blow up the ship while her officers wish to preserve her. The premiere of the play one year earlier had starred the future Sir Ralph Richardson. Who would repeat in the role on the first British television production of the play in 1939 from the BBC. After graduating from Mill Hill School Patrick Troughton enrolled in the Embassy School of Acting located at the Embassy Theatre in the Swiss Cottage section of London. While there he won a scholarship to the Leighton Rallius Studios located at the John Drew Memorial Theatre, on Long Island, in New York. The young man decided to make the trip to the United States to study American acting techniques. The theatre had been named for an Irish-American actor of pre-Civil War America. In 1940 Patrick decided to return to England and booked passage on a Belgian ship. It was sunk off the coast of Great Britain by a German U-boat, but Troughton was able to get to one of the life boats. He joined the Royal Navy and was commissioned a lieutenant in the Royal Navy Volunteer Reserve and saw action commanding a British Motor Gun Boat. After the war Patrick Troughton returned to the legitimate theatre and worked with the Amersham Repertory Company, the Bristol Old Vice Company and the Pilgrim players. Which brings me to his television and motion picture work. Obviously I will not be covering everyone of Patrick Troughton's 221 roles, but a selection of his work reflecting his varied career. 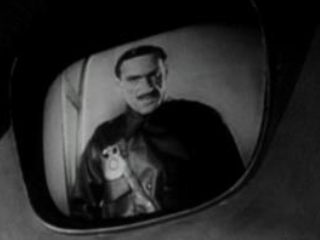 On September 11, 1947 Patrick Troughton appeared on the television screen for the first time in playwright Clifford Bax's "A Rose Without a Thorn". The play was based upon Henry VIII's marriage to Katherine Howard and he was billed 19th out of 20 actors. On October 30th Patrick had moved up to 14th of 19 in a play about Edward II. I opened this article mentioning the role of William Shakespeare's "Horatio" in "Hamlet". Part one of that production was shown live on television December 9, 1947 and Patrick Troughton was now billed 6th out of a cast of 25. His first two motion pictures came out in May 1948. 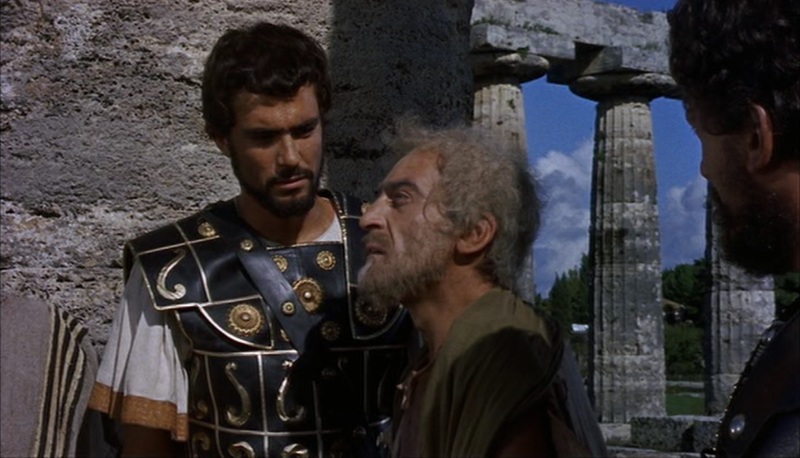 The first was produced, directed by and starred the future Sir Laurence Olivier and co-starred Jean Simons. The movie was released on May 6th and was also "Hamlet". Once more the actor was billed 6th, but this time as "The Player King". The picture also featured two young actors Anthony Quayle and Peter Cushing. Patrick Troughton's second motion picture was a British film noir starring Rex Harrison and Peggy Cummins. Patrick Troughton slipped to the middle of the cast at 20th out of 41 actors/ The title was "Escape" and was released on May 17th. Third billed was the first "Dr. Who" William Hartnell. Four roles later, and still in 1948, the actor was back on television in a four part production of Shakespeare's "The Tragedy of King Lear" as "Edmund". The following year found him in the two part "Macbeth" as "Malcolm". 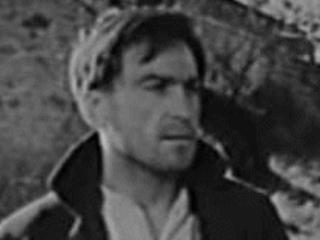 Patrick Troughton portrayed a pirate named "Roach". Who was one of Robert Newton's "Long John Silver's" crew. Skipping two years forward to July 14, 1952 found another television mini-series. Patrick was in second billing as "Alan Breck" in a six part mini-series of Robert Lewis Stevenson's "Kidnapped". This role would be followed by another classic 6 part adventure series. 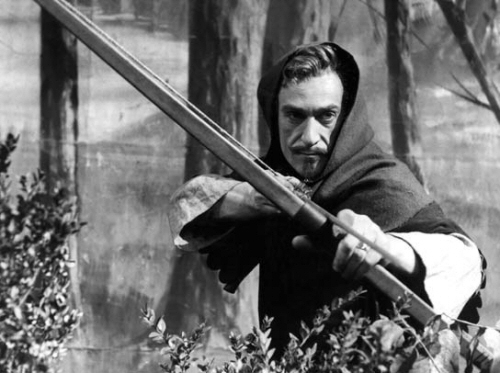 On August 17, 1953 Patrick Troughton was "Robin Hood". Like all the television series I have mentioned so far. 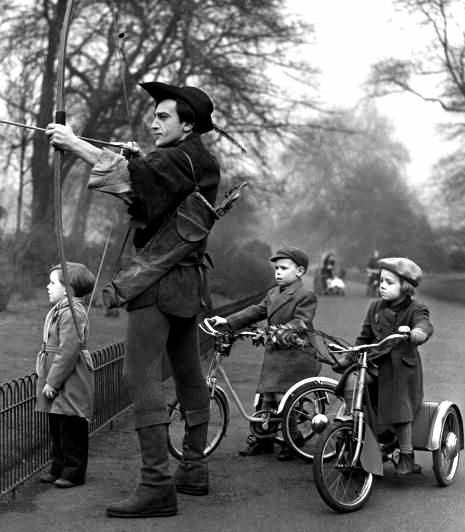 "Robin Hood" was broadcast live and only one of the 6 episodes is known to exist today. Below Patrick Troughton having a little publicity time. The series was also the first ever on television about the bandit of Sherwood Forest. 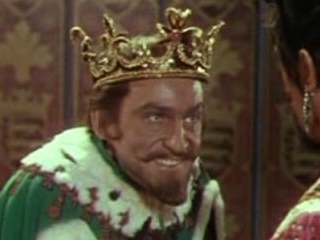 The previous year Richard Todd had starred in the Walt Disney movie "The Story of Robin Hood and His Merrie Men". Another of the four motion pictures Disney made in the U.K.
Two years after Patrick Troughton's "Robin Hood". The second television series "The Adventures of Robin Hood" starring Richard Greene went into Worldwide syndication for a 5 year run. The actor portrayed five different roles in five episodes of that series. He was "Seneschal", "Sir Fulke Deveraux", "Sir Boland", "The Counselor" and a "Villager". Below the actor in the last two roles. In December of 1953 the actor voiced "Mr. Badger" in the BBC's Children's "Mr. Toad of Toad Hall". 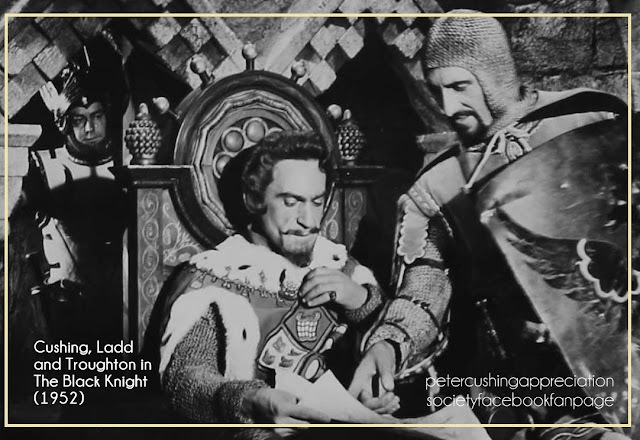 On August 24, 1954 Patrick was the evil "King Mark" plotting with Peter Cushing's "Sir Palamides" against "King Arthur" played by Anthony Bushnell. It is up to American actor Alan Ladd, out of his league here, as the blacksmith, who has become "The Black Knight" of the films title, to stop the plot and win the beautiful "Linet" portrayed by Patricia Medina. "The Black Knight" was one of three movies featuring totally miscast American actors. Robert Wagner was "Prince Valiant" and Tony Curtis was the heir to "The Black Shield of Falwroth". Here's a link to my article on these three films. After several television appearances in different character roles. Patrick Troughton was once more in a major motion picture, by Sir Laurence Olivier, based upon Shakespeare's "Richard III". 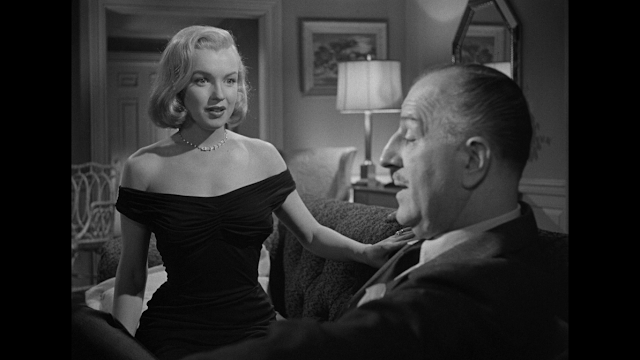 It was released December 13, 1955 and was a massive production and included many known, or to be known British actors. Troughton was cast in the role of "Tyrell". RichardIII : Darest thou resolve to kill a friend of mine? Tyrell : Please you, but I'd rather kill two enemies. Among the others in Olivier's epic were the future Sir Cedrick Hardwicke, Sir Ralph Richardson, Sir John Gielgud, Dame Pamela Brown, Claire Bloom, Laurence Naissmith, Michael Gough, Michael Ripper and Stanley Baker. From "The Bard of Strafford-upon-Avon" Patrick Troughton move to George Orwell and the 1956 motion picture version of "1984". In which he received no on screen credit as "The Man on the Television Screen". On February 24, 1956 "Pat" Troughton had 3rd billing in the ITV series "The Adventures of the Scarlett Pimpernal" starring Marius Goring. Who had the lead as Baroness Orczy's 1903 hero "Sir Percy Blakeney". Known during the French Revolution as "The Scarlett Pimpernal" the smuggler of French citizens to safety in England. 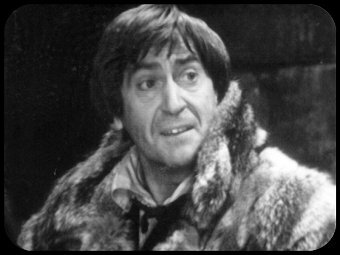 Below "Pat" Troughton is "Sir Andrew Ffoulkes" in 15 of the 18 episodes. Patrick was back as "Alan Breck" in a new television production of Robert Lewis Stevenson's "Kidnapped". Other than his return in the same role. The rest of the cast was new, but it was the same script and director as the 1952 original. 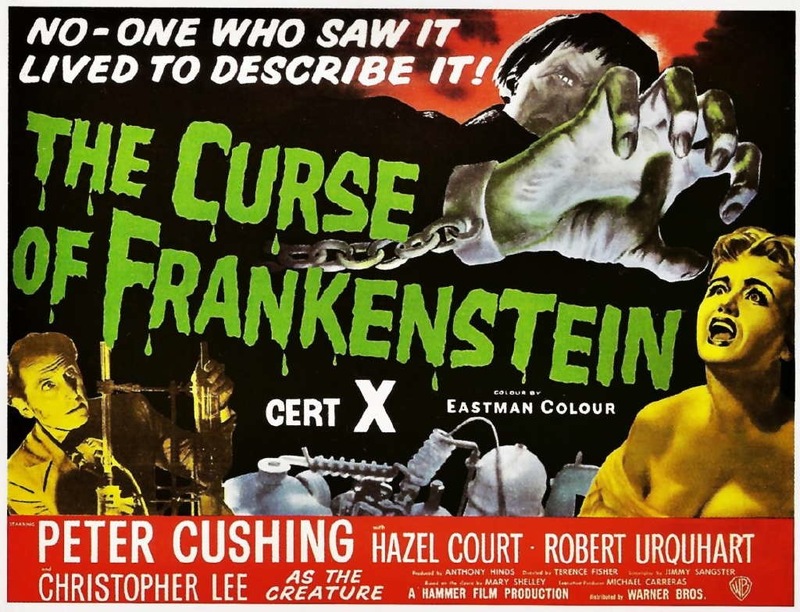 Look high and low in Hammer Film's ground breaking Horror film "The Curse of Frankenstein" and you won't see Patrick Troughton in the role of "Kurt", because all of his scenes were edited out. Between 1957 into 1950 Troughton was seen on British television in such series as "The New Adventures of Charlie Chan", "Ivanhoe" starring an unknown Roger Moore, "William Tell" and "Interpol Calling". All of which were syndicated in the United States. Between 1950 and 1959 the actor appeared in eight programs on the anthology series "BBC Sunday-Night Theatre". Patrick was also seen in one episode of the 1959 television series "The Invisible Man". The series was about a man who becomes Invisible and works for the government., In 1975 David McCallum did a similar titled series in the United States. 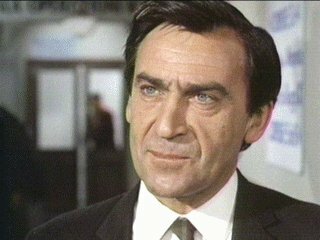 In a non costume character role found Patrick Troughton in two episodes of Patrick McGoohan's series "Danger Man". Known in the United States as "Secret Agent" with the catchy best selling 1960's theme song. 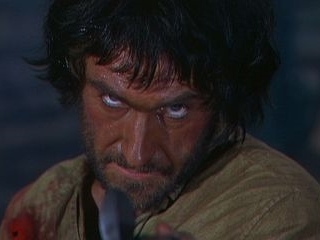 Patrick Troughton might not have been seen in Hammer Film's 1957 "The Curse of Frankenstein", but he was in their 1962 version of Gaston Leroux's "The Phantom of the Opera" starring Herbert Lom and Heather Sears. In this production he was "The Rat Catcher". Who catches them in the sewers of London, but makes the mistake of being in the sewer leading to "The Phantom". Above Lom and Sears and below Patrick Troughton. The actor was also being seen on another anthology series the "BBC Sunday-Night Play" between 1960 and 1962. He was "Daniel Quip" in an eleven episode mini-series of Charles Dickens' "The Old Curiosity Shop" that started November 25, 1962 and ran through February 17, 1963. 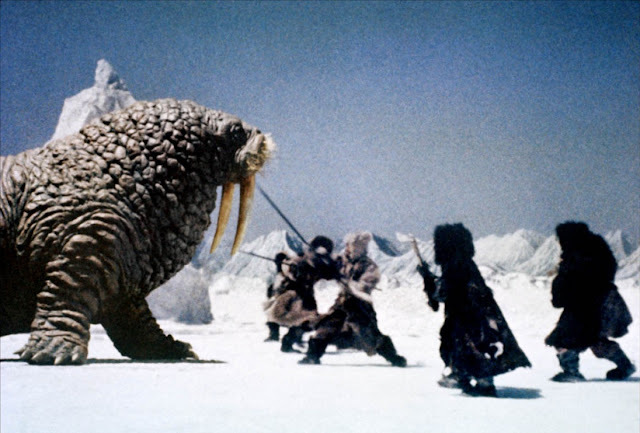 Then Patrick Troughton made his first of two appearances in a motion picture by Stop Motion Animator Ray Harryhausen. 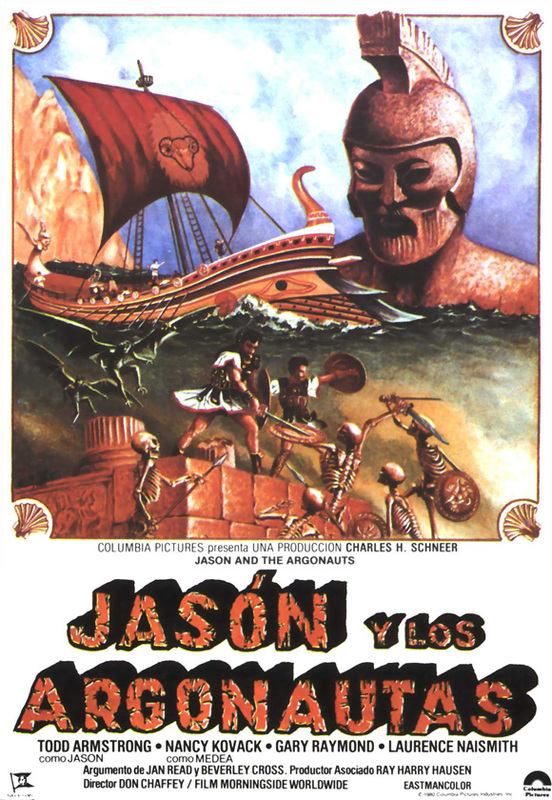 "Jason and the Argonauts" was envisioned as the first part of a two part story. Which explains the open ending, but the film did not do well at the box office and the sequel about what happened to "Jason" and "Media" was never made. During "Jason's" search for the legendary "Golden Fleece" he needs to find "King Phineus". A man blinded for his transgressions against the God's and forced to be tormented bv Harpies. In exchange for "Phineus's" knowledge of how to reach the island of "Colchis". 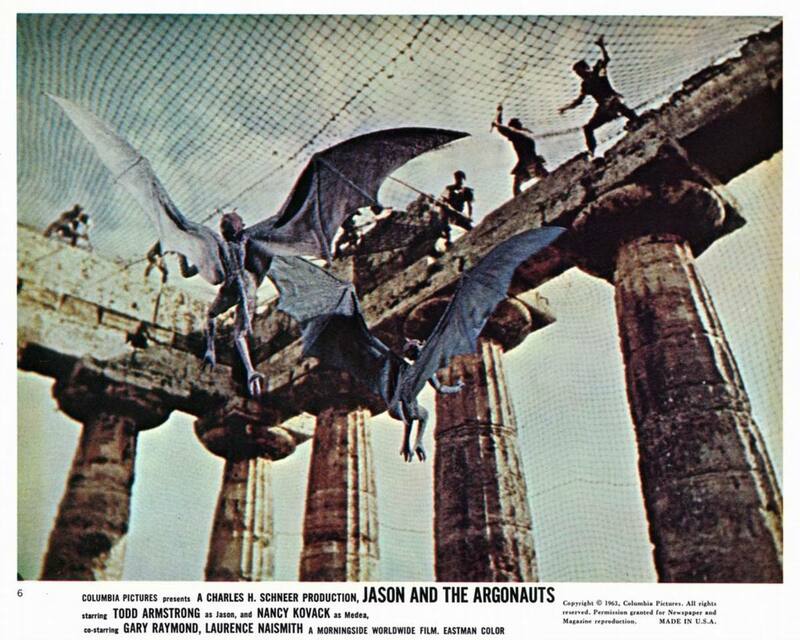 "Jason" and his crew must first stop the Harpies from stealing the food of the blinded King. 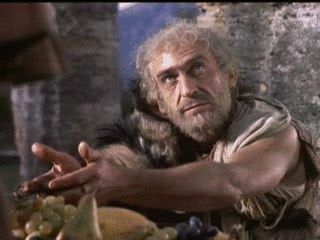 Patrick Troughton portrayed "Phineus". Back to British television for basically detective and secret agent programs, because of the then "James Bond" craze sweeping the World. Some of the shows Patrick appeared in were "No Cloak-No Dagger", Espionage" and "The Third Man"starring Michael Rennie as "Harry Lime". The last based upon the Graham Greene novel and the Orson Wells motion picture. In the feature Patrick was "Inspector Karnof" investigating the idea that something is turning the local men into stone. Douglas Wilmer was "Sherlock Holmes" and Nigel Stock "Dr. Watson" in one of the many BBC television excursions into Sir Arthur Conan Doyle's detective. In the episode "The Devil's Foot" first shown on February 27, 1965. 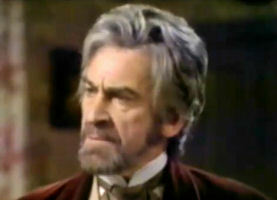 Patrick Troughton was "Mortimer Tregennis". The story has "Holmes" investigating how "Brenda Tregennis" died in a locked room with his two brothers playing cards and the brothers both suffering dementia as a result. Later that year the actor returned to Charles Dickens as "Dr. Manette" in a ten part television version of "A Tale of Two Cities". On January 16, 1966 staying with Charles Dickens. 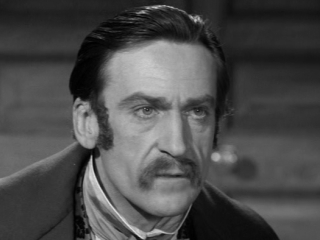 Patrick Troughton appeared in one episode of "David Copperfield". Then on April 11, 1966 Troughton appeared for the 6th time since 1961 on the "ITV Play of the Week". June 6th saw him appear for the second time in another syndicated Roger Moore series "The Saint". On March 25, 1967 Hammer Films released a picture with a confusing title "The Viking Queen". Patrick Troiughton was "Tristram". 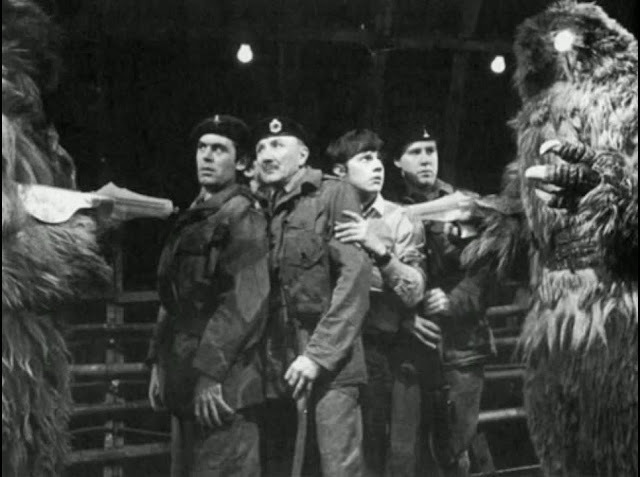 It was during the early 1966 filming of the feature in Ireland that the actor was offered the part of the Second Doctor/ Which he accepted and after concluding his role in "The Viking Queen" went to the BBC studios to start shooting the Science Fiction series for a late October appearance. There are three major points for "Whovian's" in relation to Patrick Troughton's Doctor and for those of my readers unfamiliar with "Dr. Who". The first was seen on October 29, 1966 in the last episode of the First Doctor entitled "The Tenth Planet". 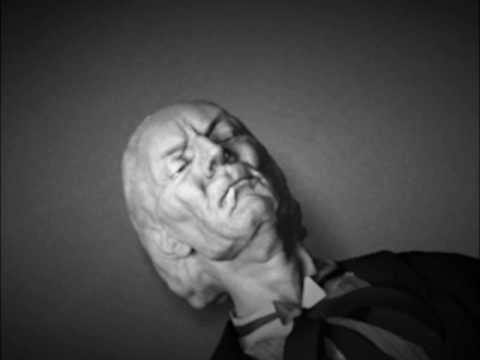 The original Doctor was actor William Hartnell and he was suffering from deteriorating health caused by arteriosclerosis. Hartnell was unable to remember all his lines and a decision to replace him at the during the run of "Dr. Who's" Fourth Season was made. The new Doctor was to be Patrick, but the question facing the producers and writers was how to introduce him on that ongoing fourth season? 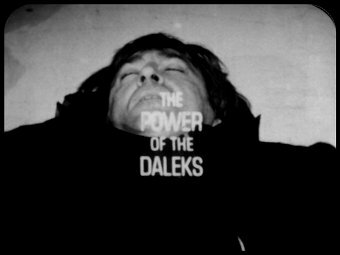 Originally it was thought to have him just appear in the role at the start of "The Power of the Daleks", but that was turned down. Then writer Gerry Davis proposed that as the Doctor is an alien. He could just die and come back in a new body. At this point producer Innes Lloyd took the concept a step farther. He decided that the Doctor could "Regenerate" into either an older, or younger man every time it was needed. So at the end of "The Tenth Planet" the Doctor's collapses and his two companions "Ben" and "Polly" just stare. As William Hartnell's First Doctor's features become those of Patrick Troughton's and the show jumps to the closing credits and theme song. 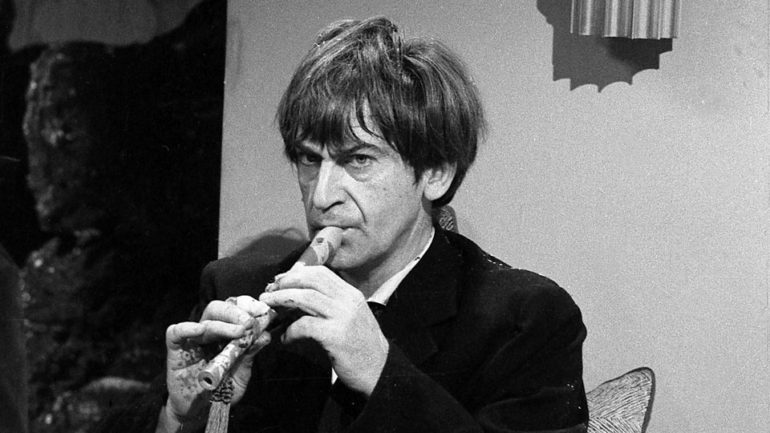 Patrick Troughton's actual first episode would now be the next on November 5, 1966. It should be noted that the entire "The Tenth Planet" has been destroyed.. Many of the episodes of the First and Second Doctor's were erased to be able to reuse the expensive recording tape. Partrick Troughton was a big fan of Charlie Chaplin's "Little Tramp". He patterned his look as more of a Hobo in honor of Chaplin with a somewhat unkempt appearance. This was in direct contrast to the Edwardian look of William Hartnell and his gentlemanly manners. The second point took place during the Fifth Season in two back to back serials. The first was "The Abominable Snowman". 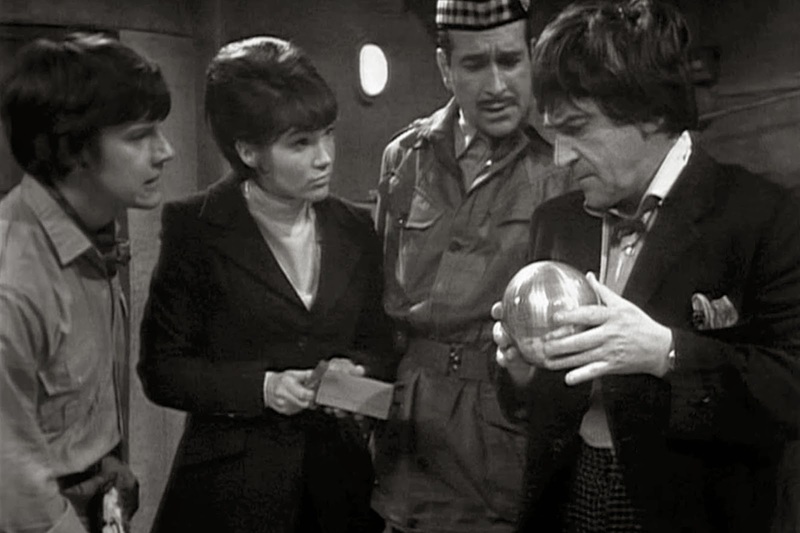 In which the Doctor, his companions "Jamie McCrimmon" and "Victoria Watefield" encounter "The Great Intelligence". The serial ran from September 30 to November 4, 1967. Below actors as the Snowman robots waiting for call to the set..
"The Great Intelligence" returns in the next serial "The Web of Fear", but this time we also have the first appearance of, then, "Colonel Lethbridge-Stewart" and "Unit". That serial ran from February 3 to March 9, 1968. 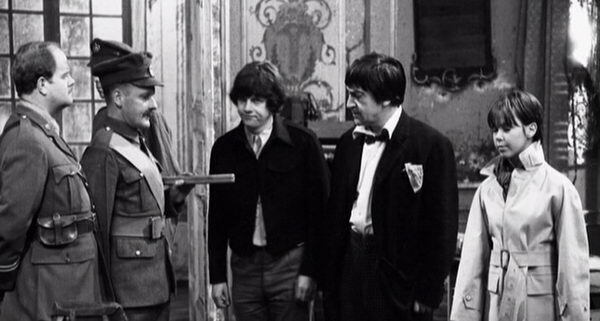 The third interesting point within Patrick Troughton's Second Doctor happened in the final serial he was in "The War Games". The serial was first broadcast from April 19 to June 21, 1969. 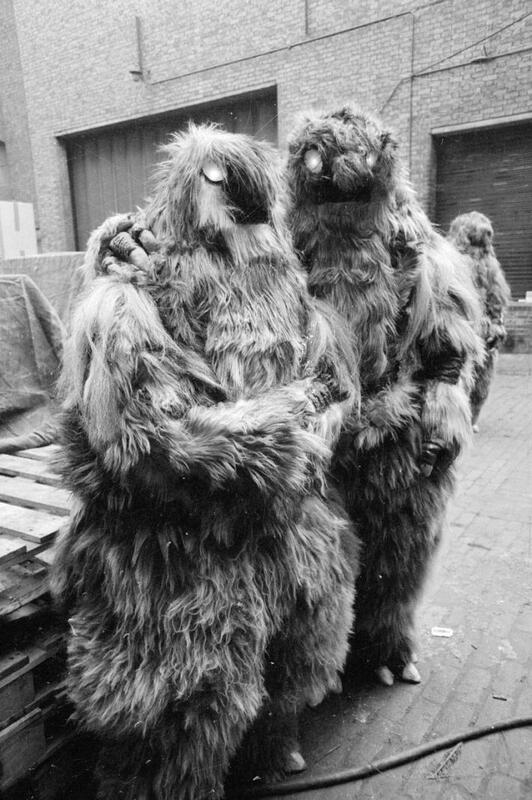 This was the final "Dr. Who" serial filmed in black and white. At this time "Victoria" was no longer a companion, but "Jamie McCrimmon" still was along with "Zoe Heriot". This would be the last appearance of both characters. The reason this serial is so important to the Canon. This is when the audience learns that the Doctor is a "Time Lord" and we meet others of his race. The name of the planet "Gallifrey" would not be mentioned until Tom Baker's Fourth Doctor. 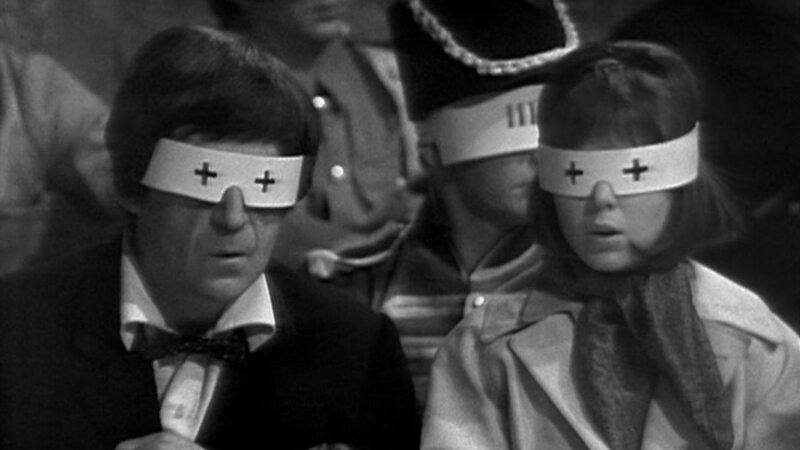 Between "The Tenth Planet" and "The War Games" Patrick Troughton appeared as "The Doctor" 119 times. At the end of "The War Games" he is put on trial for his past crimes including the theft of the "TARDIS" from the "Time Lord" home world. He is found guilty and "Jamie" and "Zoe's" memories are wiped clean of any knowledge of the "Doctor". His punishment is a "Forced Regeneration", also look up the Eighth Doctor's forced regeneration into the "War Doctor", and is given a choice of four new faces. He tells the "Time Lord's" he doesn't like any of them, but is told a choice has been made. Patrick Troughton regenerates into Jon Pertwee. The four episode "The Three Doctors" starting on December 30, 1972 and co-starring William Hartnell, with limited lines off a prompter, and Jon Pertwee. Below a publicity still for the one episode special adventure "The Five Doctors" shown November 23, 1983. 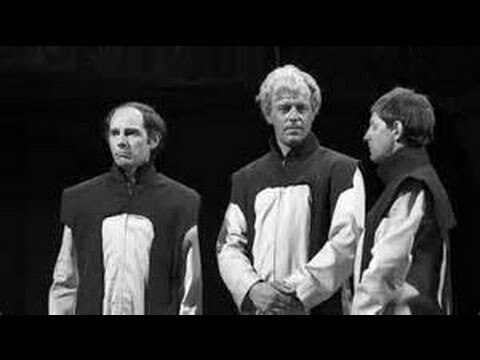 From left to right in the back row are William Hartnell the First Doctor, Tom Baker the Fourth Doctor and Patrick Troughton the Second Doctor. The front row is Peter Davison the Fifth Doctor and also the father-in-law of David Tennant the Tenth Doctor, and Jon Pertwee the Fourth Doctor. "The Two Doctors", a three part story started on February 16, 1985, co'starring the Sixth Doctor Colin Baker was a later appearance of Patrick Troughton's doctor. On August 1, 1970 Patrick Troughton appeared as "The Duke of Norfolk" in the mini-series "The Six Wives of Henry VIII" starring Keith Mitchell. The series ran for six episodes. In the BBC"s "Sunday Tea Time Slot", starting October 25, 1970, was a nine episode adaptation of American author Lousia May Alcott's "Little Women". Patrick Troughton was "Mr. March". On November 8, 1970 Patrick became "Klove" in the House of Hammer's "Scars of Dracula" starring, of course, Christopher Lee. Between 1965 and 1971 was a classic British Science Fiction anthology series "Out of the Unknown". 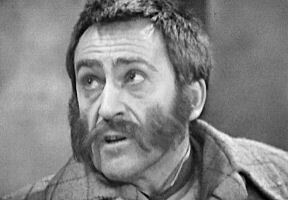 Patrick Troughton was seen as "Jimmy Reed" in "The Chopper" on June 16, 1971. The story was about a dead motorcyclist who refuses to leave and possesses his chopper. It was written by Nigel Kneale the writer of the BBC's "Bernard Quatermass" series and other Science Fiction entries. Patrick is on the far right of the following still. 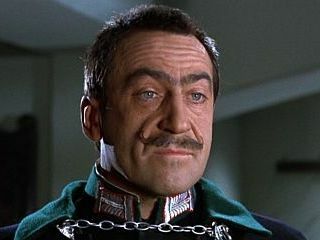 Some of Patrick Troughton's other work included a guest appearance on the World War 2 prisoner of war series "Colditz" in the episode entitled "The Traitor". The series regulars included David McCallum, Robert Wagner, Dan O'Herlihy, Jeremy Kemp and Hans Meyer. The rest of the actors appeared in anywhere from 1 to 17 episodes out of the 26. Below Patrick as the "Padre". 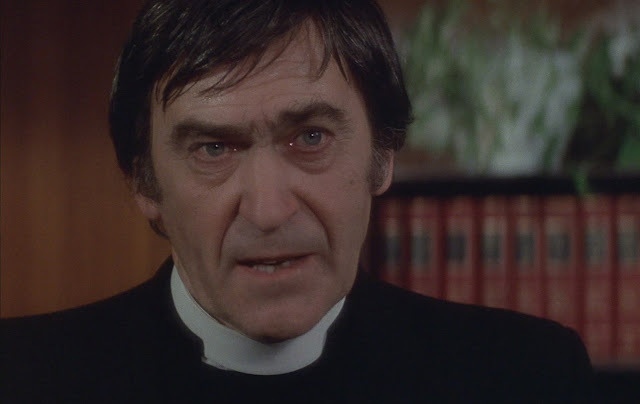 Like with "Little Women", Patrick Troughton found himself in another American author's work presented in a British production on November 18, 1973. This was James Fenimore Cooper's "Hawkeye, the Pathfinder" based upon the first of the author's Leatherstocking Tales". Paul Massie, Hammer Film's 1960 "Dr Faces of Dr. Jekyll" was "Hawkeye" and Patrick was "Uncle Cap" in the five part series. 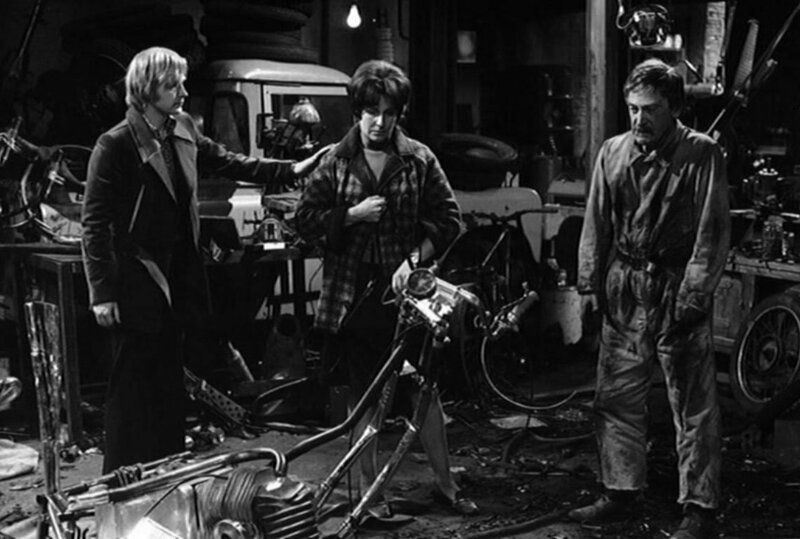 May 2, 1974 brought Patrick Troughton in another Hammer Horror movie "Frankenstein and the Monster From Hell" starring Peter Cushing and David Prowse. Prowse was both the Creature and "Herr Schneider", but is better known as the the actor in the costume of "Darth Vader" in the original first three "Star Wars" motion pictures. 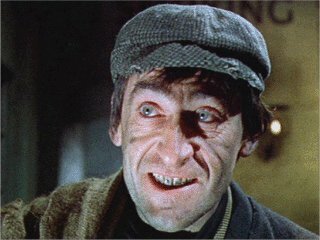 Troughton was the "Bodysnatcher". Also in the cast was Bernard Lee as "Tarmut", but better known to American audiences as the original "M" for Sean Connery, George Lazenby and Roger Moore "in the "James Bond" franchise. Below Patrick as the "The Bodysnatcher" and his make-up looks very close to his in "Scars of Dracula". Between the Hammer production and his next motion picture appearance. Patrick appeared on several major British television series including as "George Barton" on the popular "Coronation Street" and as British Prime Minister "Benjamin Disraeli" in "Jennie: Lady Randolph Churchill" about Winston Churchill's mother. 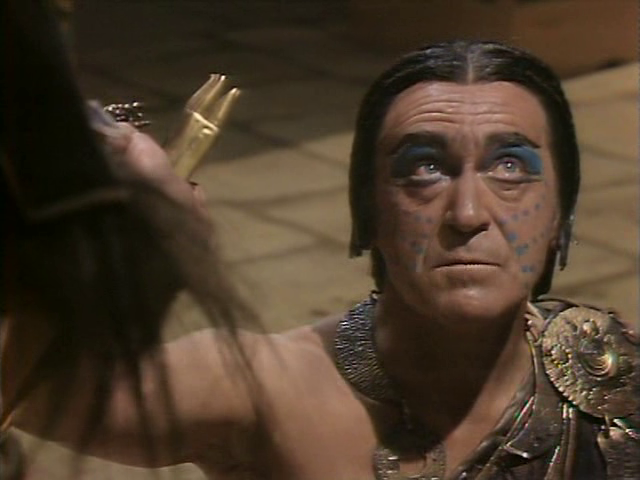 Patrick Troughton portrayed the "Blood Thirsty" Aztec High Priest "Nasca" in the six part "The Featured Serpent" starting on June 21, 1976. There was a second series of six with the same characters that started on May 8, 1978. 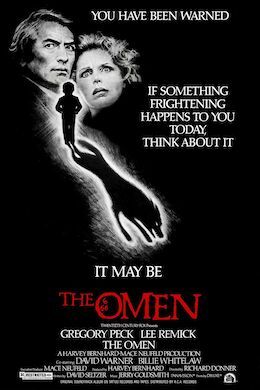 On June 25, 1976 a U/K-U.S. co-production opened in the United States and would open on September 16th in the United Kingdom The actor was "Father Brennan" in British director Richard Donner's "The Omen". The movie starred Gregory Peck and Lee Remick as the parents of "Damien" the Anti-Christ. 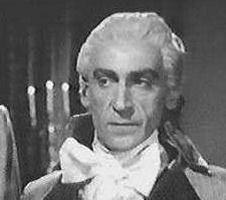 Back on June 13, 1963 Patrick Troughton had been "Judge Jeffreys" in a television mini-series based upon the popular 1869 British novel "Lorna Doone" by Richard Doddridge Blackmore. Now he was "Counselor Doone" in a new mini-series that started on September 5, 1976. 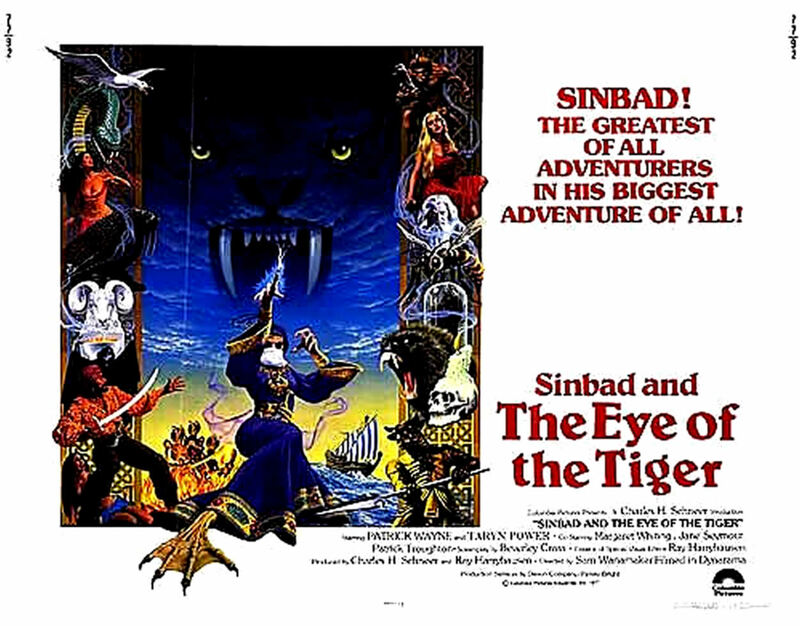 One television show later, an episode of "Warship", and Patrick was back with Ray Harryhausen in the stop motion animators "Sinbad and the Eye of the Tiger" released August 12, 1977. This was the final entry in Ray's trilogy of 1958's "The 7th Voyage of Sinbad" and 1973's "The Golden Voyage of Sinbad". The film starred John Wayne's son Patrick Wayne as "Sinbad". Tyrone Power's youngest daughter Taryn Power was "Dione" the daughter of "Melanthius", portrayed by Patrick Troughton, and Jane Seymour was "Princess Farah". 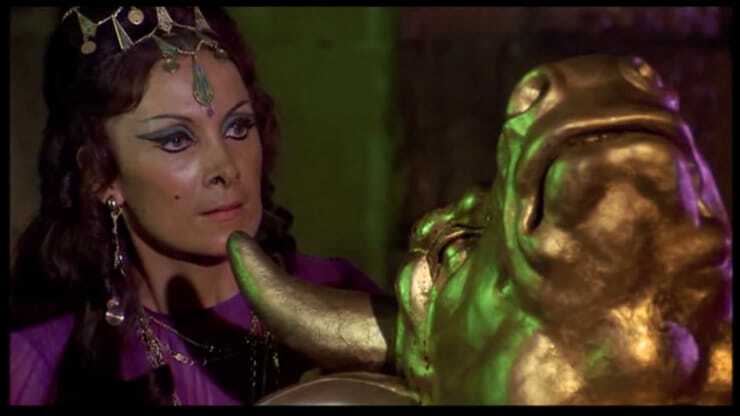 Margaret Whiting was the evil "Zenobia" in what seemed a rehash of Tom Baker's "Prince Koura" in Harryhausen's previous "Sinbad" movie. 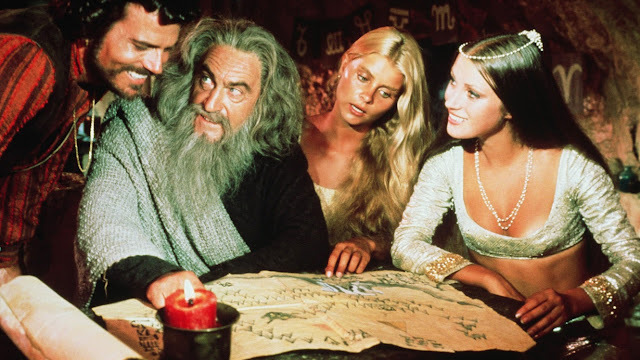 Below left to right are Patrick Wayne, Patrick Troughton, Taryn Power and Jane Seymour. The evil "Zenobia" has changed the rightful heir to the throne, "Farah's" brother, into an orangutan. Only "Melanthius" knows how to change him back. "Sinbad" and the others are pursued by "Zenobia" and her son. The must locate the mythical far north land of "Hyperborea" to get the cure. 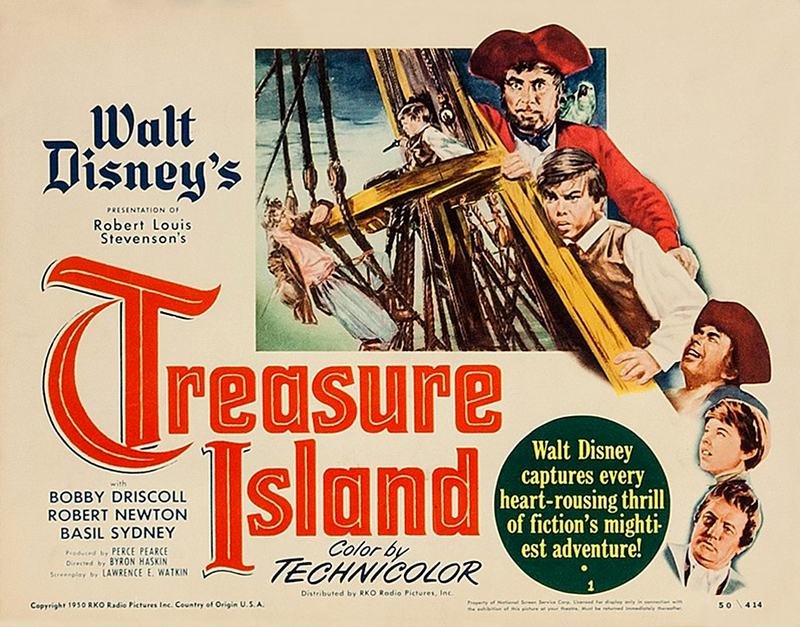 On October 16, 1977 a new BBC television production of Robert Lewis Stevenson's "Treasure Island" was shown. 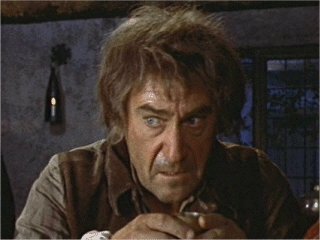 In this six part serial Patrick Troughton was "Israel Hands" and Alfred Burke was "Long John Silver". 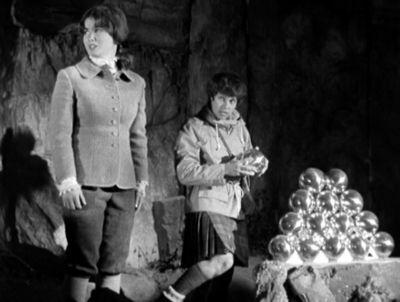 Below Troughton's "Israel Hands" and Ashley Knight as "Jim Hawkins". 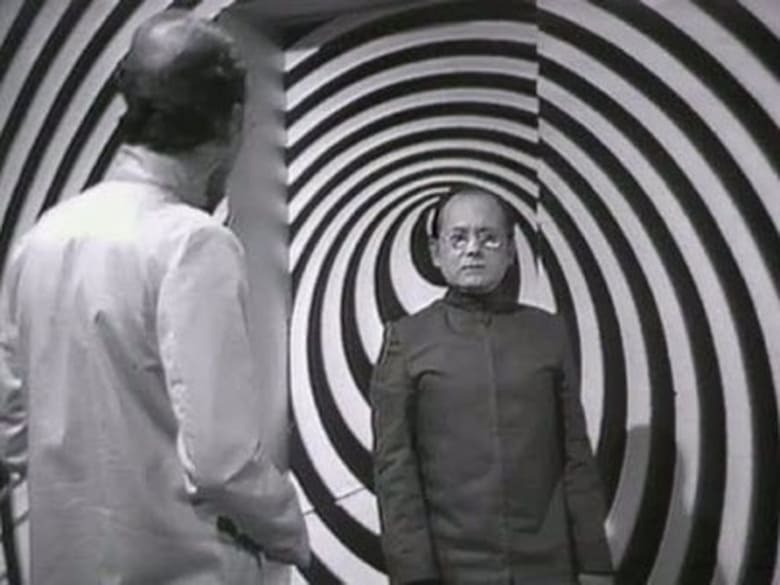 The following month found the actor in "The Dorcons" an episode of Gerry Anderson's "Space 1999". Starring the then husband and wife team, from "Mission Impossible", Martin Landau and Barbara Bain. 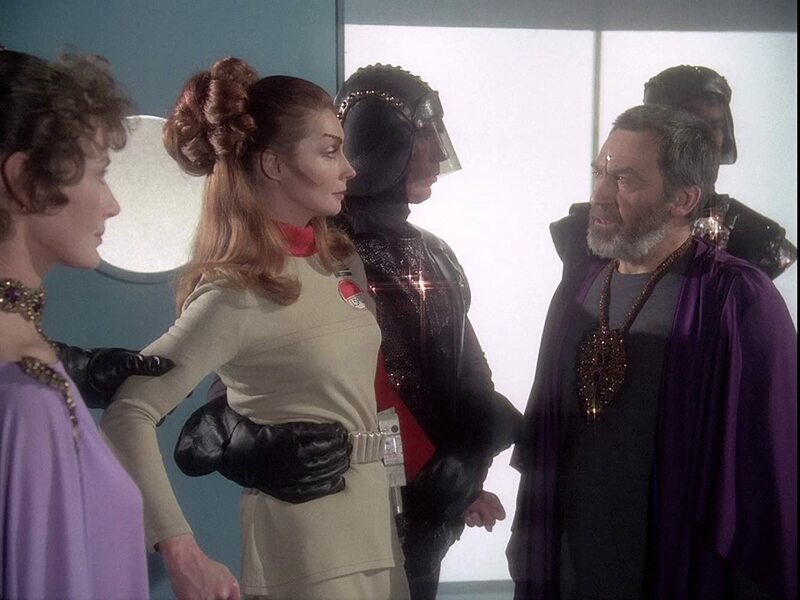 Below left to right are Ann Firbank, Catherine Schell and Patrick Troughton. In 1978 Patrck Troughton followed the second series of "The Featured Serpent" with two excellent portrayals. He was "William Marshall" in the BBC's "The Devil's Crown". The mini-series followed the reigns of Henry II, Richard the Lionhearted and John Lackland. Marshall was the 1st Earl of Pembroke and served the following Kings: Henry II, his son "The Young" Henry, Richard I, John and Henry III. Five more television programs followed and Patrick Troughton became "Roddy" on an episode of "All Creatures Great and Small" entitled "Hair of the Dog". The episode aired January 19, 1980. For the next seven years Patrick Troughton kept appearing on every genre of British television from comedy to historical drama's including 1984's BBC mini-series based upon John Masefield's children's fantasy novel "The Box of Delights" on November 21, 1984. 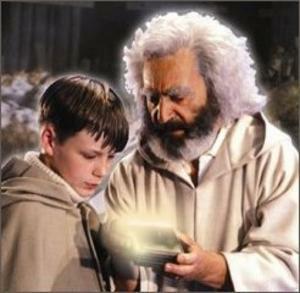 A young boy is returning home from boarding school at Christmas in 1934 and becomes mixed up in a battle for the possession of a magical box. The box allows a person to shrink in size, shape shift, to fly and travel into the past. The story has similar Christian elements to C.S. Lewis' "Narnia" novels. 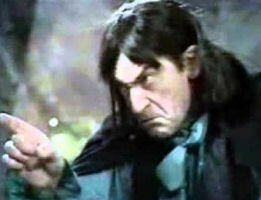 Patrick Troughton was a mysterious old man named "Cowe Hawlings in three of the six episodes. 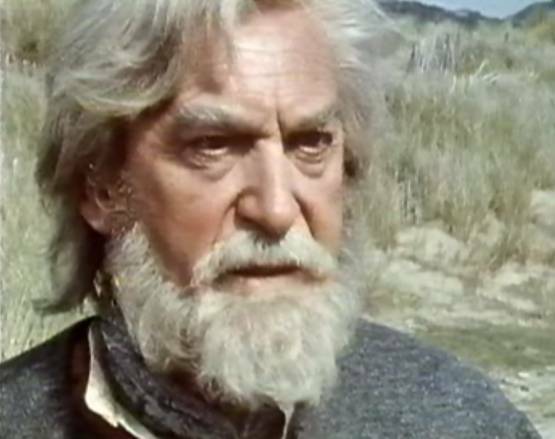 Patrick Troughton last on screen appearance was in the thirteen episode "Knights of God" that premiered on ITV September 6, 1987. The year is 2020 and after a terrible Civil War in the U.K. A fascist order known as the "Knights of God" came to power. Two young people the boy "Gervase" and the girl "Julia" have escaped the camps that the Knights control and brainwash people. They are on a search for the rightful King of England to restore democracy in Britain. 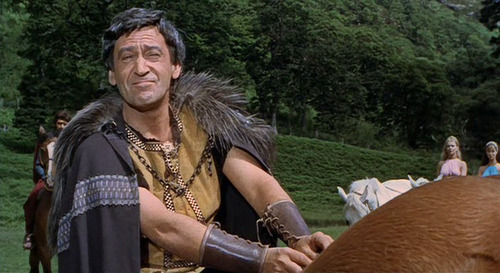 Patrick Troughton's last role was that of "Arthur". The "Knights of God" were founded by the "Prior Mordin". "Artrhur" is revealed to be "Mordin's" father. Can you say "King Arthur" and his illegimate son "Mordred"
Patrick Troughton had passed away on March 27, 1987 six months prior to this series being shown and two days after his sixty-seventh birthday. R.I.P. Doctor.